Larus cachinnans 1cy-2cy PUNU August 21 2010, Lubna, Poland & March 2011, Vrbice, Czech Republic. Picture: Michal Rycak & Dusan Boucny. 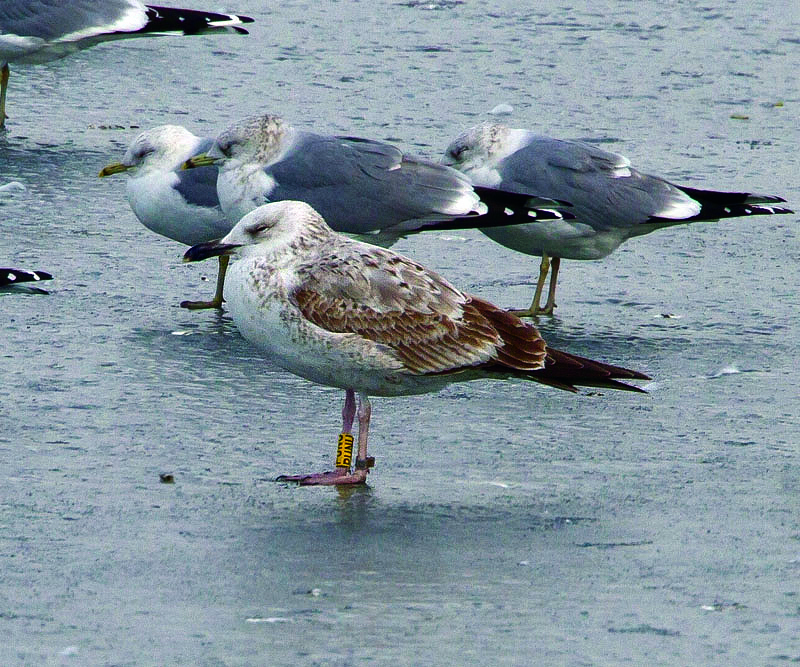 Ringed in Ukraine as pullus on June 05 2010 at Cherkasy Kreminchuk reservoir. Metal L-009686. below: 1cy PUNU August 21 2010, Lubna, Poland. Picture: Michal Rycak. 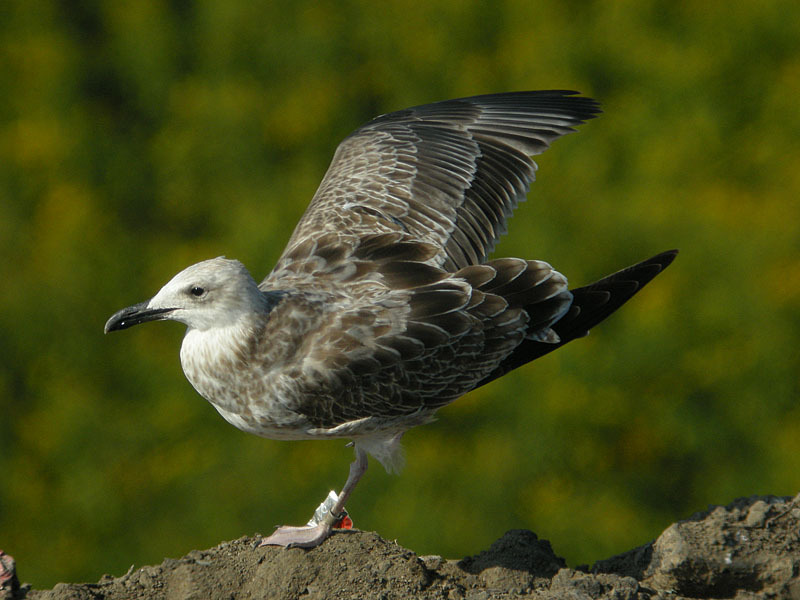 Active moult in scapulars, with large moult gaps. Pale underwing. below: 2cy PUNU March 2011, Vrbice, Czech Republic. Picture: Dusan Boucny. 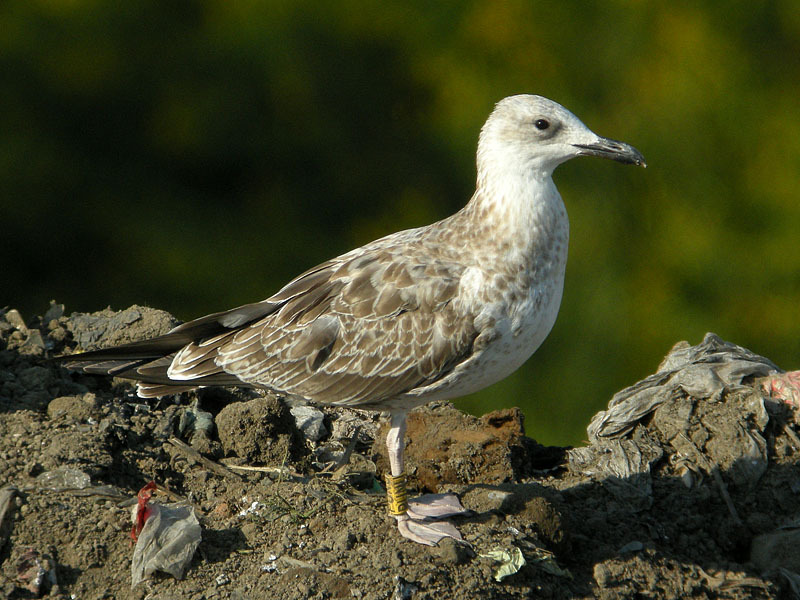 2CY Caspian Gull (first-winter plumage). 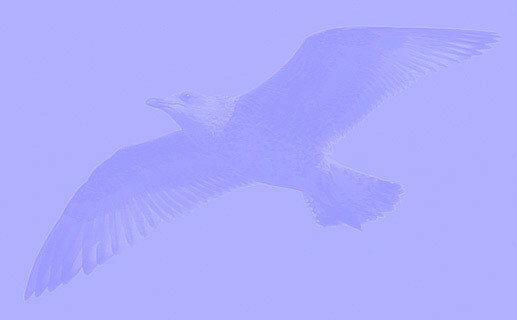 This is a textbook bird in every respect, and it has the ring to prove its credentials. 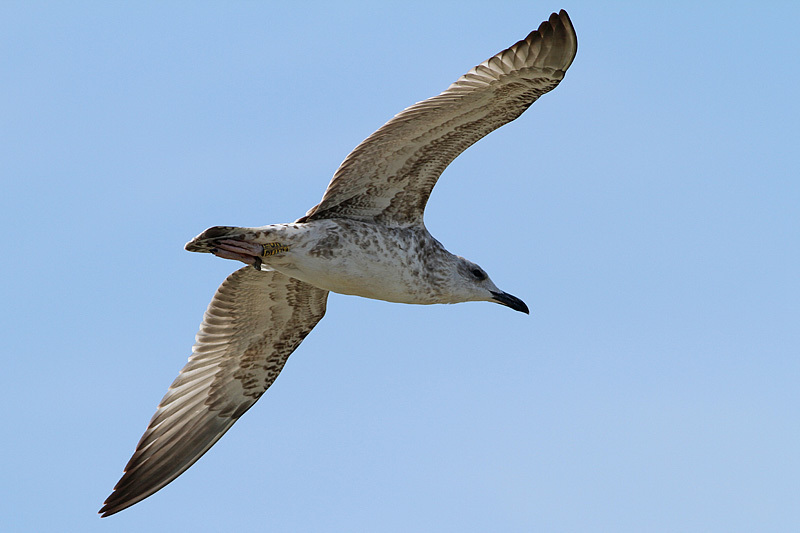 However, not all Caspian Gulls are this distinctive, and not all carry a helpful ring. 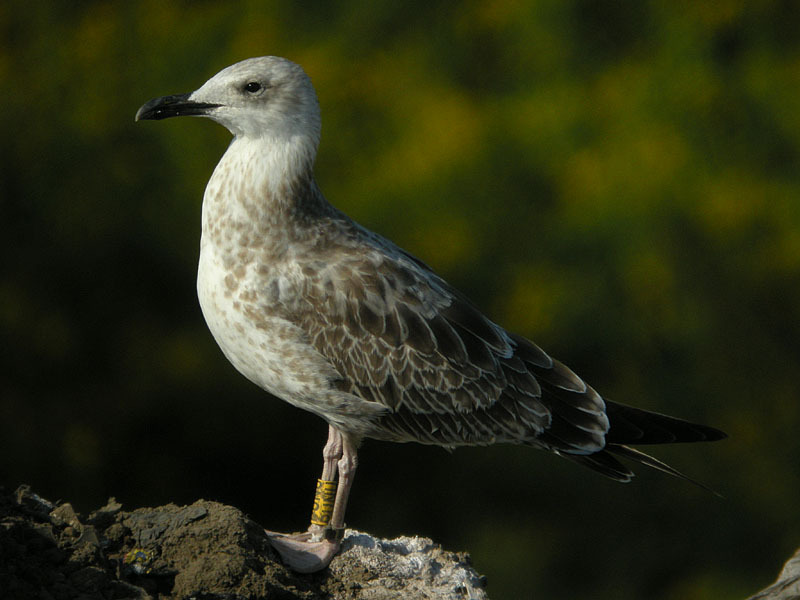 Unringed and less typical individuals can create identification headaches, especially given the problems posed by hybrid Caspian x Herring Gulls. Note that the 'boa in the neck' consists of fine-streaked 2nd gen feathers.